The Mityana Projects Trust works to support educational projects and vocational centres throughout the Mityana region. Our small and dedicated team know Mityana well and travel to the region regularly in order to work with the local communities. Education is vital so that today’s children can learn new skills and not rely totally on the subsistence farm, bequeathed to them by their parents. Since 2007 we have been linking up our local primary schools with schools in Mityana. Mityana Projects Trust is based in North West Hampshire about 12 miles north of Winchester. Our link began through and continues to be supported by the Whitchurch Deanery in the Church of England diocese of Winchester. All our primary schools are linked with schools in Uganda, and over 50 people from our villages and communities in the Deanery have visited Mityana. Our charitable status came through at the end of 2011 when we realised that for tax relief on donations including gift aid, for better financial accountability and to make the point of our ongoing commitment we’d be crazy not to. 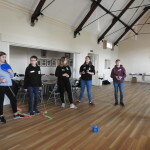 News from the Team Uganda 2019 preparation day held in November. A group of 14 will be visiting Mityana in February. 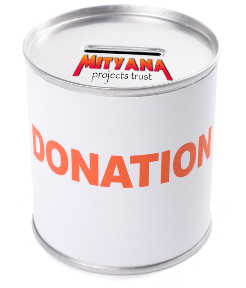 You can read more details from our blog page (http://mityana-projects-trust.co.uk/preparation-for-2019-visit/). The head teacher of Old Basing Infants school outlines how 90 of her pupils made great progress on their Uganda day. You can read more details from the visit on our blog page (http://mityana-projects-trust.co.uk/news-old-basing-linked-katakala/). Dodie outlines progress on two current projects from her recent visit. You can read more details from the visit on our blog page (http://mityana-projects-trust.co.uk/update-october-2018-visit/). Update from the recent visit in February. “It’s now day four, can’t believe it, soon it will be Friday!” You can read more details from the visit on our blog page (http://mityana-projects-trust.co.uk/update-february-2018-visit/). Following the success of the reservoir at Mugungulu, work has now started on a second reservoir at Kalembe. 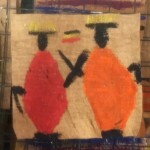 You can read about progress on our blog page (http://mityana-projects-trust.co.uk/work-begins-new-reservoir-kalembe/). An amazing result from the creation of the reservoir at Mugungulu. This was funded by Sebastian from Whitchurch running in the London marathon. You can see pictures on our blog page (http://mityana-projects-trust.co.uk/reservoir-completed-mugungulu/). Copyright © 2014 Mityana Projects Trust. All Rights Reserved.